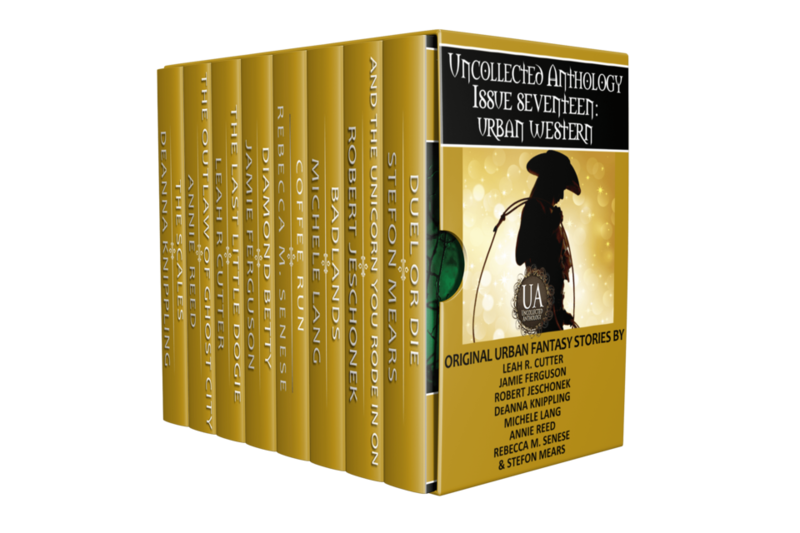 Enjoy the urban fantasy stories of the Uncollected Anthology: Urban Western now collected in this bundle. Ride along with an elf cowboy, investigate a disappearance in the middle of nowhere, Wyoming, stalk the Badlands with an alpha wolf, head out on a coffee run, out-shoot an Outlaw, prepare for a duel with a side of witchcraft. Explore the Uncollected Anthology with Urban Western!